Most body fillers consist of a thermosetting unsaturated polyester in a solvent which is mixed with a reactive hardener. Hardeners are usually skin irritants and some are strong skin sensitisers – both can cause dermatitis. Styrene and methacrylates are often found in these mixtures and have powerful odours. Check the hazard data sheet for these chemicals and if you find them, try to find alternative less harmful filler products. Glass fibre fillers can irritate the skin. 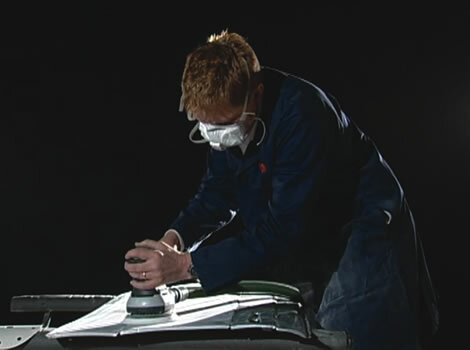 Lead has historically been used in some body preparation operations (and may still be used in classic car restoration), and although the temperature at which the alloy is applied is usually not high enough to generate large quantities of harmful fume, subsequent finishing by powered discing and sanding can release high concentrations of fine dust which is a serious health hazard. 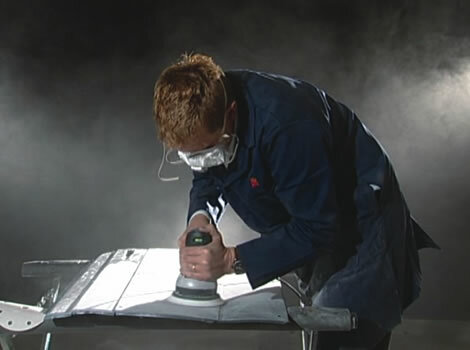 To minimise the number of people exposed to dust and fume, separate the body filling and preparation area away from other work. 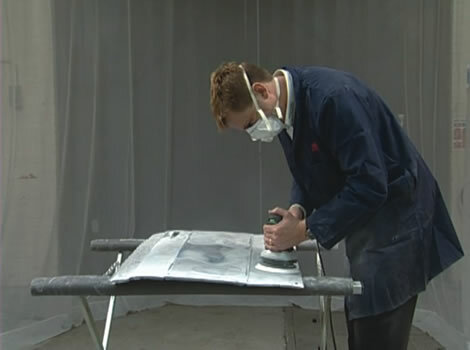 Even if the dust does not contain specific harmful substances (such as styrene or methacrylates) you should keep dust to a minimum as the quantity generated can be damaging to health. Large excesses of filler can be removed using coarse hand files. For powered discing and sanding, use tools with built in extraction or use portable local exhaust ventilation. Where necessary, use personal protective equipment such as disposable overalls to help prevent dust build up on clothing. Suitable gloves (eg nitrile gloves) should also be considered as fine dust will clog up the pores in the skin and they would also protect the hands when wet sanding. Suitable respiratory protection may also be required to Type FFP2, depending on the effectiveness of the extraction system.